You’ll find no shortage of fun in Harbor Country – and paired with the best in Harbor Country lodging, you’re in for a great time! What could be better than enjoying all that Harbor Country has to offer in any season, then returning to your own private cottage at the Firefly Resort -- simply the best Harbor Country lodging to be found? Whether you’re visiting New Buffalo, Union Pier, or elsewhere in Harbor Country, you’ll find the best Harbor Country lodging at the Firefly Resort. Sure, you can find other Harbor Country lodging, including hotels, cottages and New Buffalo rentals. But you won’t find more charming private cottages than those at the Firefly. Looking for art or antiques? Step outside your Harbor Country lodging and into some of the finest shopping around. Is wining and dining your thing? Just steps from the Firefly – one of the finest of all Harbor Country lodging options – you’ll find a bevy of restaurants, cafes, and wineries beckoning you. 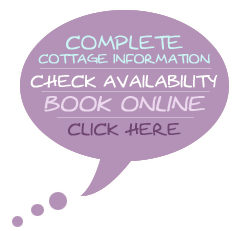 Before you consider other Harbor Country lodging options – and before you reserve any New Buffalo rentals – check out all the Firefly Resort has to offer -- eighteen charming cottages replete with amenities, space and seclusion. Hiking through a nature preserve, opened in May 2006. East of I-94 on Harbert Rd. Fine bird watching. Hiking trails through sand dunes, forests and wetlands. Public beach and pet friendly. Best Bird Watching, opened in April 2006. Five miles of hiking trails, cross-country trails, lighted cross-country trails on Saturday night. Rental equipment available. Huckleberry Rd., Berrien Center. Warren Dunes State Park on Red Arrow Hwy. features wild, windswept sand dunes and a beautiful public beach with restrooms, snack bar and parking facilities. Perfect for families. The views are spectacular. Even in the winter, a trip to the Dunes is well worth it for the trails, cross-country skiing snowboarding and sledding. There is a small charge per car at the park entrance. Warren Woods Forest Preserve is a primeval forest and wildflower sanctuary with marked trials following the Galien River. Warren Woods Rd. between Lakeside Rd. and Three Oaks Rd. Featuring full camper hook-ups. This nice, spacious campsite is at the base of the Warren Dunes, in a shady pine forest on a bed of pine needles. Popular, books up fast. New toilet/shower house facility was completed in 2002. This is a great campsite! Ken Killian-designed 18-hole public course. Sport fishing and pleasure charters on a 32-foot Marinette cabin cruiser equipped with top-quality fishing gear. Sunset cruises available. Canoe and kayak rentals. Paddle down the Dowagiac River through the Dowagiac Woods. Trips lasting between two to six hours. State-run access for small fishing boats and canoes. Access located on Red Arrow Hwy., just north of Kruger Rd. at the bridge, New Buffalo Township. Rent and purchase misc. gear. Organized trail rides available. Call first. Specializing in youth lessons. Features an 1880s Amish round barn for their tasting room. Wonderful ambiance for a tasting room. Offers snacks. Always fresh, organic when possible, fantastic breakfast and lunch. Take home some freshly baked cookies and muffins! Cash and Checks only. As stated by a frequent visitor. "I do not want to eat until I can eat at Café Gulistan again!" Favorite bar, pub food and great menu, have a pint and catch the game. Friendly deli/coffee house/party store. She makes and bakes it all. Great hot sandwiches, homemade baked goods, and deli case. Get stuff to go. Catering available. Fresh homemade soup daily! Say hi to Milda! Serving Sherman's Ice Cream, Homemade Fudge, and Candy Try the Marion County Blackberry ice cream! Legendary. Open spring/summer season only. Good pub food, kids menu, fireplace. A 3-minute walk from Firefly. The best coffee, outstanding breads and pastries. Imported gourmet packaged foods. Great place to go if you're up before everyone else. And yes, the sell the New York Times. Did we mention good coffee? Outside seating only. Corner of Berrien Rd. and Red Arrow Hwy. Shops and Malls can be found all along Red Arrow highway all throughout Harbor Country. Great finds, from that missing teacup to antique furniture. Art Co-op with choices for every budget and style! No, not the clothing store, but a good grocery store with a reassuringly gourmet selection. Century-old landmark in historic Three Oaks. An honest-to-goodness butcher shop featuring, freshly made sausages, smoked meats and sawdust on the floors. After enjoying biking, Timber Town or some galleries, start thinking about grilling! Banker's hours. The "everything store". Forgot it? They have it. More Types of Apple than imaginable! Local and national entertainment every weekend! Mini-golf, go-karts, bumper boats, batting cages, game room. Raspberries, Corn, other veggies in season. Fall Harvest Festival with Horse-drawn wagon rides, mini haunted house, corn maze, mums, pumpkins and gourds. Open everyday. Day passes available. Unique playground for kids where they can slide, hide, glide, balance and tumble. Special area for 2-5-year-olds. Build of timber with non-skid surfaces.